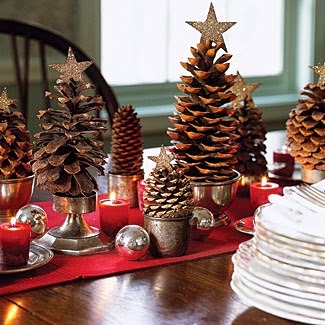 Centerpiece with cones of different sizes and shapes, arranged and decorated like trees. 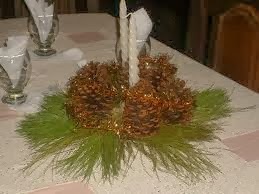 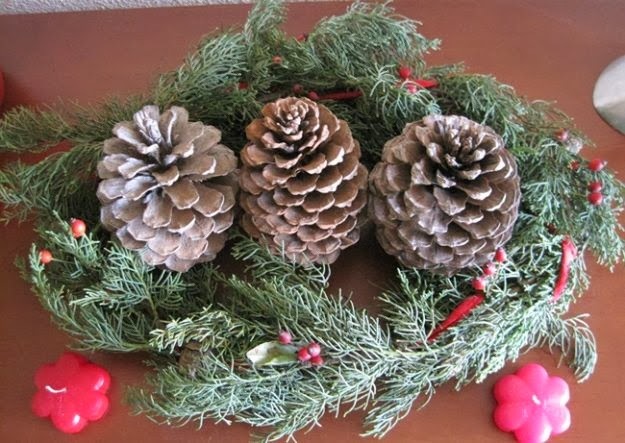 Christmas Centerpiece with Pine cones, stars, candle and spheres. 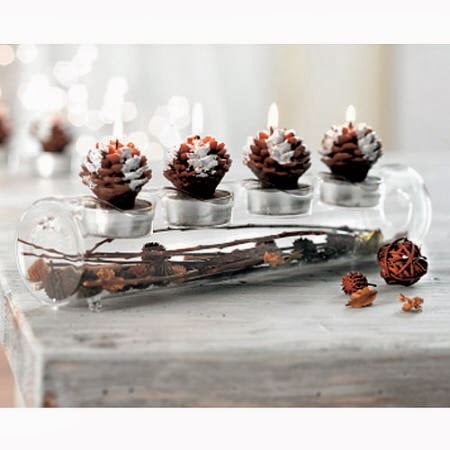 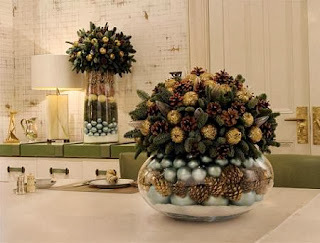 Christmas Centerpiece with Pine Cones placed on top of a container of two levels. 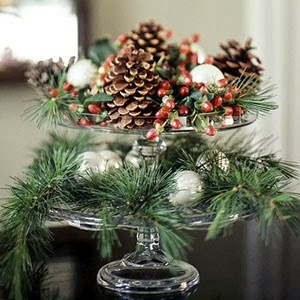 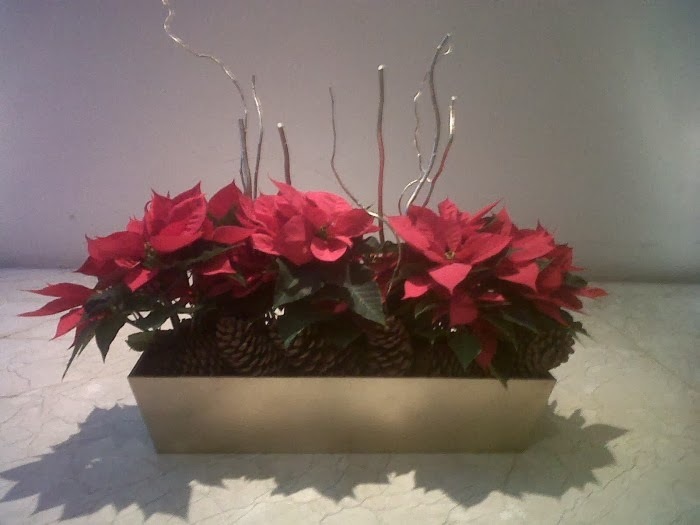 Christmas Centerpiece with Pines into a container and also on top. 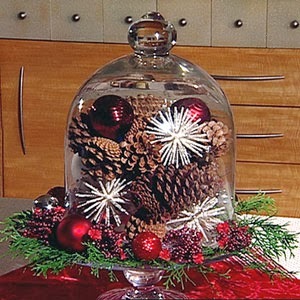 Christmas Centerpiece with Pines into a glass container. 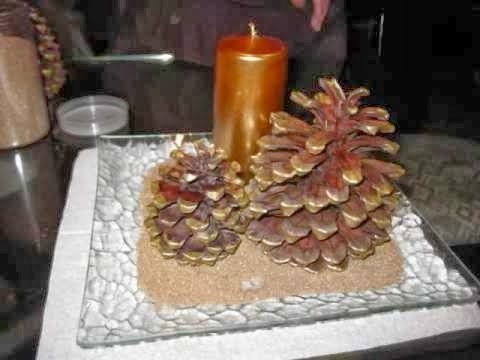 Christmas Centerpiece with pines on a glass base and a gold candle. 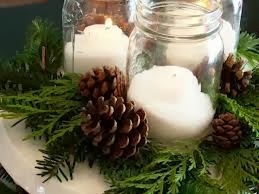 Christmas Centerpiece with pines and green branches, accompanied by white candles. 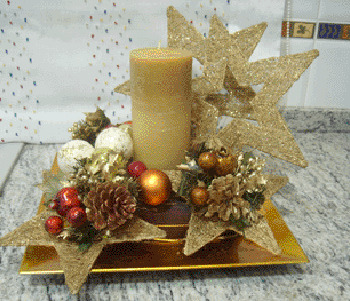 Christmas Centerpiece with Pineapples at the base and red flowers on top.